The last years the numbers of Road Traffic Accidents in Bulgaria has been increased dramatically. The courtry is on the first place with the huge number of people who lost their lives in car accidents in the EU, reported the statistic and National Drivers Union. This indicator, used to signal road safety in each European country is consistent with the exact number of dead people per one million citizens. This alarming tendency of increasing amount of victims has been going on for the last few years. Bulgaria is one of the european country with huge number of car accidents, for speed or no using of sit belt etc. This is the reason, wht the European Commission had conducted numerous initiatives for improving road safety in the member countries. If there are more than 2 vehicles involved, get all nessesery information from them – insurance policies & driving licence etc. inform us if the accident is minor. If anyone is injured they should be helped, but not moved unless they are in danger of further injury. If the injured person needs immediate transport to a hospital, the person accompanying them must return the scene of the accident as soon as possible. All vehicles in Bulgaria are required to have Liability insurance and proof of the documents of this special insurance must be carried at all times. Payment of compensation for damages is amount payment of money to compensate you for all material and immaterial damages, accured in the accindent. You need to have an official prolice road traffic protocol, which describe direct and immediate consequence of the traffic accident. Claiming the immaterial damages, you need to get a consultantion with your insurance lawyer to include all negative consequences – pain and suffering experienced in connection with the occurred injuries. Concerning the material damages you and your lawyer need to calculate all material & future costs, borne by the driver with regard to the accident – eventually surgery costs, medical hospitalization costs, costs for medicines, costs for future rehabilitation, repair of the car damages etc. It is nessesery to provide direct connection for your insurance compensation procedure between the car accindent damages and the occurred accident. This means, there should be direct connection between the accindent, the injuried people and the resulted from this traffic accident, the negative health consequences to be a result of the injuries in this accident, (a lack of consequence between them and previous illnesses), the costs for medicines to be borne with regard to the treatment of these injuries etc. for damage to property (material items) — BGN 2 000 000 for each insured event, whatever the number of injured parties. The Accident Report Form is filled in by the Bulgarian road & traffic Police who will give a signed copy to all parties involved in the accindent on the road. Before you meet your lawyer , don’t sign any paperwork unless certain it’s understood and agreed with. Send the report form to the insurance company (many demand it within seven days of the accident). Following an accident, take the Report Form to the insurer and fill in an application form for claims, or contact the insurance company’s emergency line for advice on the procedure for making a claim. The vehicle undergoes inspection and insurance is transferred to the insured person’s bank account within a few days or up to two weeks. If the accident is serious the Traffic Police will complete the form and give a copy to all parties involved so they may forward to the relevant insurers. Many insurers insist on the form being received within 7 days of the incident. It is important to understand and agree with any paperwork before signing, after consulting your insurance lawyer in Bulgaria. Immediately claim from the Bulgarian traffic police officers to provide you with the required copy of the Car accident protocol. This is the most important documents for every car crash and car accident in Bulgaria. Without getting this protocol from the traffic police, you could not submit the claim in the court after the documents has been already prepared and collection for insurance compensation from the Bulgarian insurance companies. The latter is an official document, which proves the occurrence of the insurance event, as well as the participation of the listed parties and the existence/the non-existence of a valid civil liability insurance policy of the guilty driver. If you are not listed as an injured person within the protocol, immediately claim the amendment of the latter by the traffic police authorities. During the effect of the repealed Insurance Code, the injured persons had the possibility to claim an insurance compensation direct in a court proceeding, without being obliged to submit a claim for a voluntary payment before the insurance company. After the entering into force of the new Bulgarian Insurance Code the injured persons were deprived of this right and now they shall first submit their claim before the insurer, having attached all relevant documents (including all medical documents related to hospitalization, the treatment, the recovery process etc.) as well as a bank account, where the determined insurance compensation to be eventually paid. The insurer shall take a decision within a 3-month period whether to pay an insurance compensation or to refuse paying it. Upon the expiration of this 3-month period, the injured persons, who have not been paid any insurance compensation and/or their claims have not been fully granted, are entitled to claim such insurance compensation before the civil court, together with the statutory interest as of the moment, when the payment of the compensation became due. Our law office D. Vladimirov & Partners is here for you to support you to avoid futher problems so that you will be able to take advantage of all the opportunities and options our country is giving you. We act as a liquidator and take all the necessary actions in the liquidation proceedings under the current legislation in Bulgaria. – Sending notifications to all creditors. – Notification to the National Revenue Agency of the winding-up started. – Submission of an application for deletion from the Commercial Register, proposal for initiation of insolvency proceedings and execution of all necessary actions related to the procedure. – Legal assistance and representation and submission of outstanding claims to creditors of commercial companies and non-profit organizations against whom liquidation proceedings have been initiated. We provide legal representation of a creditor or debtor in taking action to initiate insolvency proceedings.The liquidation is an out-of-court procedure. Its aim is to divide the assets of the company between the partners. The liquidation procedure is regulated in chapter 17 of the Commercial Code. According to Article 266 of the Commercial Code, the procedure is conducted by one or more liquidators. Liquidators may be appointed by the general meeting, by the partners with unlimited liability or by the court. According to Article 269 Commercial Code, the notarially certified consent and the specimen signature are recorded in the commercial register. 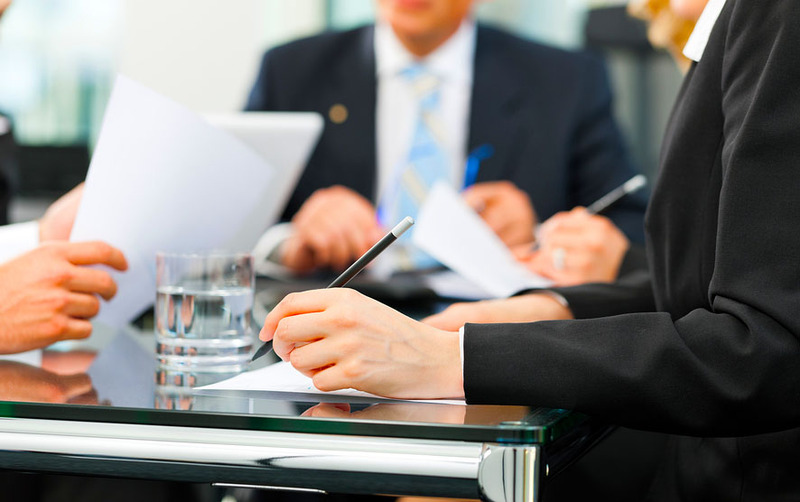 The liquidators are entrusted with the responsibility of managing and representing the company. This includes assistance in formulating objections, requesting the admission of protective measures or a restructuring plan when submitting a proposal to open insolvency proceedings to the court. D. Vladimirov & Partners is on your disposal at preparation of the creditors’ meeting specified by the court. We also help in appeals against judgments rejecting the proposal to open insolvency proceedings, and support the activity of a trustee in liquidation before the insolvency procedure. The help of our law firm is related to the liquidation of insolvency assets and the sale of the debtor’s economic rights. We will prepare all necessary documents in the sale of the debtor’s assets, as well as a statement of the distributions of the amounts collected upon the liquidation of his/her assets. – Collection of unpaid shares or contributions, as well as debts to the debtor. – Termination of outstanding contracts. – Taking actions to put aside deals. – Take action to terminate, cancel or avoid contracts. – Inventory of the debtor’s assets. – Organization of creditors’ meetings in open insolvency proceedings. – Legal support and representation of creditors when claiming in open insolvency proceedings against certain debtors. – Drawing an appeal to the court against a debt that is accepted or not accepted by the liquidator. – Submission of a complaint in the course of insolvency proceedings. – We also assist in company restructuring.